The Emirates Stadium and Old Trafford may be located almost 200 miles away from each other but Arsenal and Manchester United’s rivalry is one that burns brightly. And the two teams face off in north London on Sunday to resume hostilities once more. Will we see similar scenes to this on Sunday? The rivalry between the Gunners and the Red Devils got us thinking though, what other rivalries are there between teams that are not local to each other? Below you can see some of the biggest conflicts between teams that do not stem from local bragging rights. Liverpool eye defender, Arsenal target gets big price tag, Isco to Man City? It used to be the Premier League fixture that every neutral had their eyes on, however, its sparkle began to fade when Arsenal stopped being title contenders a couple of years after their ‘Invincibles’ season in 2003/04. However, there have been some almighty clashes which included numerous heated duels between Patrick Vieira and Roy Keane, one happening in the tunnel before Arsenal played United at Highbury in February 2005. 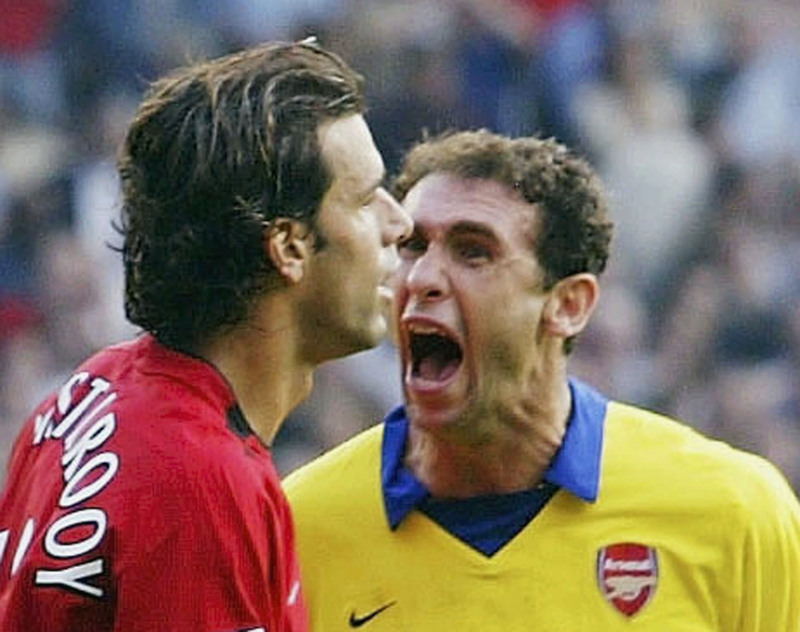 It all boiled over in the Old Trafford fixture earlier that season when Ruud van Nistelrooy missed the chance to grab a last-minute winner after striking a penalty against the crossbar sparking an ambush from the Arsenal players at the end of the game. 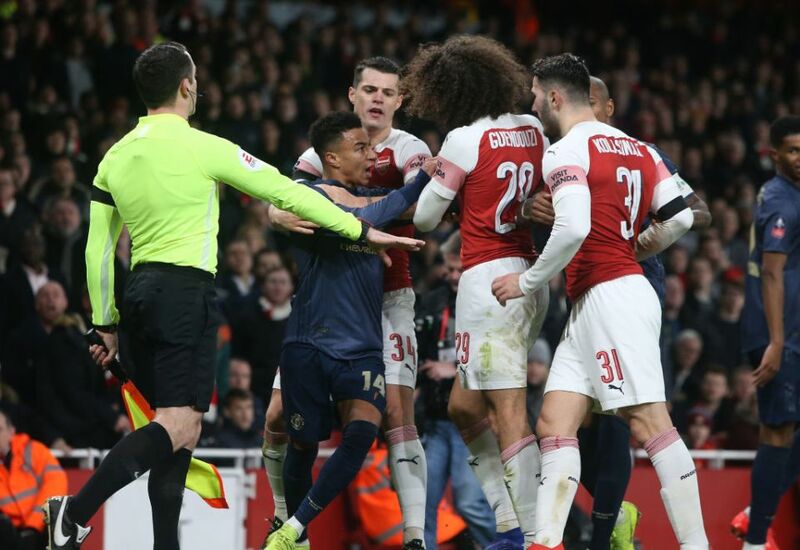 Similar scenes on Sunday are unlikely but the Gunners will be hell bent on exacting revenge on United, who knocked them out of the FA Cup in their own back yard when the two teams last faced in January. This really has stood the test of time and even though Liverpool have not been regular challengers for Premier League titles, their rivalry with Manchester United is regarded by many as the biggest fixture in English football. 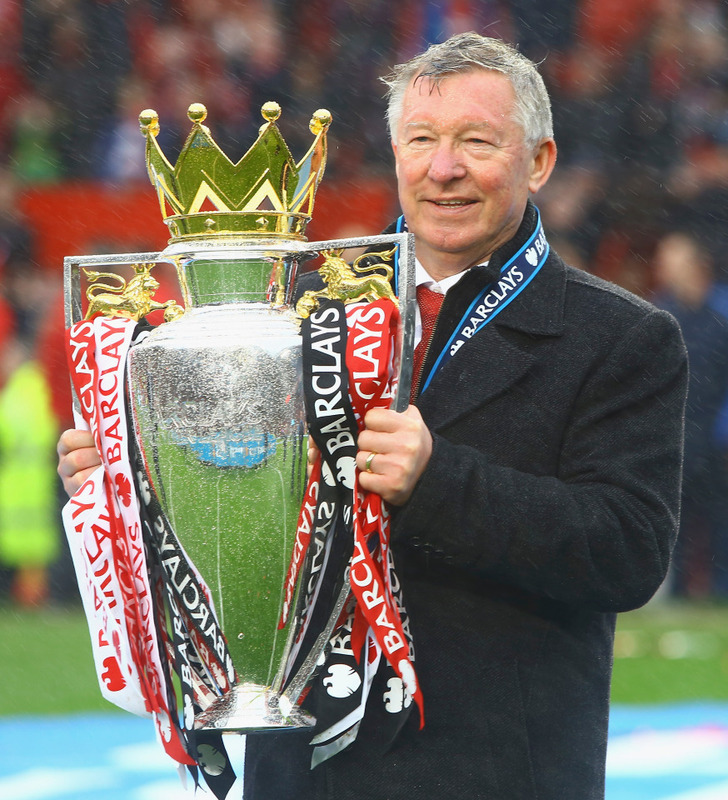 It reached another level when United entered a golden age during the Premier League era and “knocked Liverpool off their f****** perch” as Sir Alex Ferguson put it, by eventually eclipsing their rivals on Merseyside for league titles. The Red Devils currently have 20 to Liverpool’s 18. There are some occasions where the rivalry goes beyond matters on the football pitch with ex-Red Luis Suarez being charged by the Football Association and serving an eight-match ban for allegedly racially abusing former United full-back Patrice Evra during a clash at Anfield in October 2011. 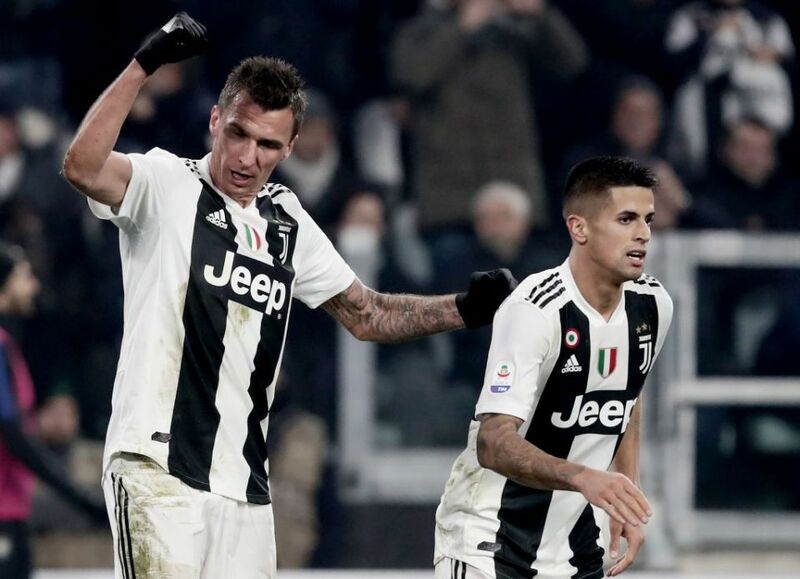 All the big teams in Italy want to beat each other but it is understood Inter Milan and Juventus’ rivalry, known as the Derby d’Italia, really went up another gear following the Calciopoli scandal in 2006. The scandal was a very complex issue but in a nut shell it was an investigation by Italian police that implicated Juve, AC Milan, Lazio and Reggina which saw them accused of rigging games by selecting favourable referees. Juventus got it the worst when they were relegated to Serie B and were stripped of their 2004/05 title while also been downgraded to last place in the 2005/06 season, with the Serie A title going to Inter. Former general manager of the Old Lady Luciano Moggi suggested in an interview that Inter had some involvement too which has added to the bitterness. There aren’t many recent clashes to talk about between Manchester United and Leeds with their last meeting a League Cup tie in September 2011, the rivalry is genuine. It’s thought it goes as far back as the 15th century with Yorkshire and Lancashire in conflict during the War of the Roses. Other factors are from the days when Don Revie and Matt Busby managed Leeds and Manchester United respectively as well as the hooliganism wars groups of supporters from both teams used to have have also contributed to the fierce rivalry. And don’t forget about the time when Alan Smith left relegated Leeds to join the old enemy in 2004. If Leeds can win promotion to the Premier League this season, expect fireworks between the two in the 2019/20 campaign. This is a rivalry that confuses fans who do not support either Crystal Palace and Brighton but it’s very clear to both sets of supporters why it exists. The flashpoint was at the end of a second FA Cup replay held at a neutral venue between the two teams in 1976 which Palace won 1-0. After the game finished, a Palace fan allegedly chucked some tea at Seagulls boss at the time Alan Mullery, prompting the former England international to chuck some loose change on the floor and shout “that’s all you’re worth”. 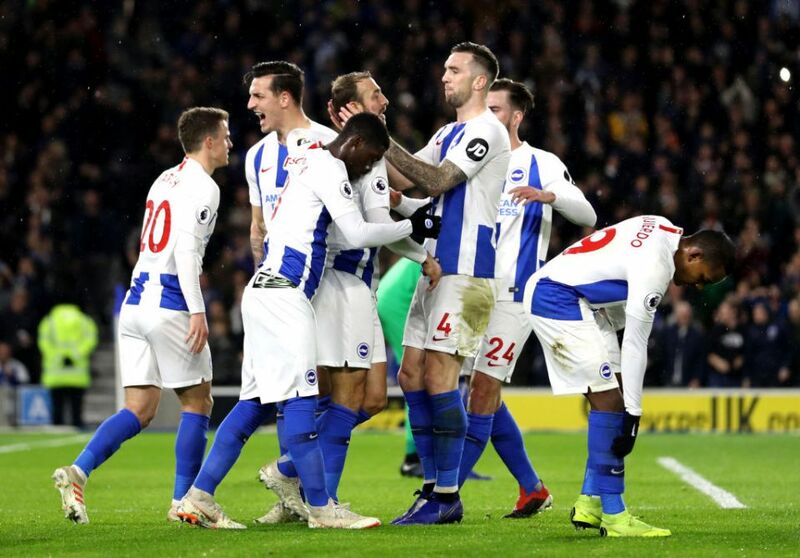 Palace and Brighton’s last meeting in December saw Eagles fans clash with police before the game. They play at Selhurst Park for the return fixture on Saturday at 3pm – a game you can listen to live on talkSPORT. This is a reasonably new rivalry as they are both teams which have enjoyed relatively new success due to the huge finances that have become available to them. Chelsea have won the most trophies of any English team since Roman Abramovich bought the club in 2003 but City have every chance of overtaking them so the rivalry has spilled out on the pitch. 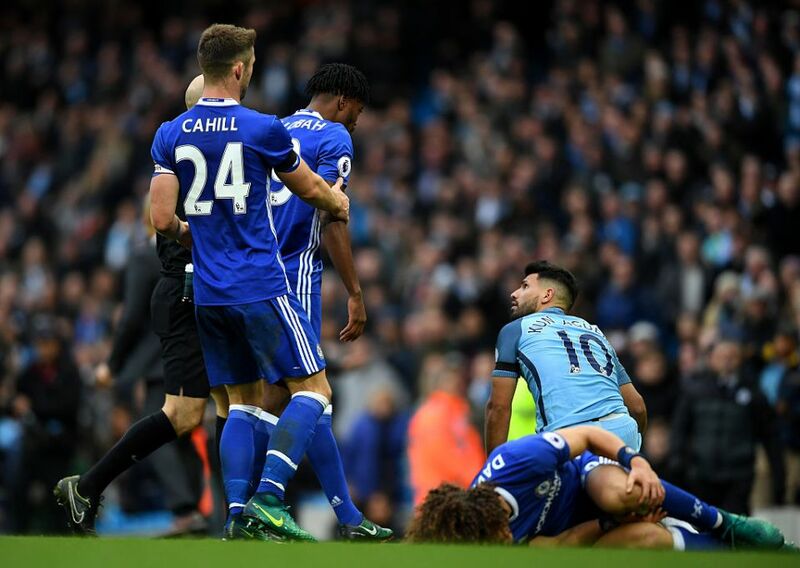 Sergio Aguero and David Luiz have had a number of confrontations on the pitch and City striker Aguero received a red card for a high challenge on the Brazilian during a clash at the Etihad Stadium in December 2016. The rivalry reached a more sinister level when four Chelsea fans were suspended for allegedly racially abusing Citizens forward Raheem Sterling in December 2018 as the two sides played each other at Stamford Bridge. In any walk of life, conflict can often be boiled down to class antagonism and this is certainly the case between Ajax and Feyenoord’s rivalry, known as De Klassieker. 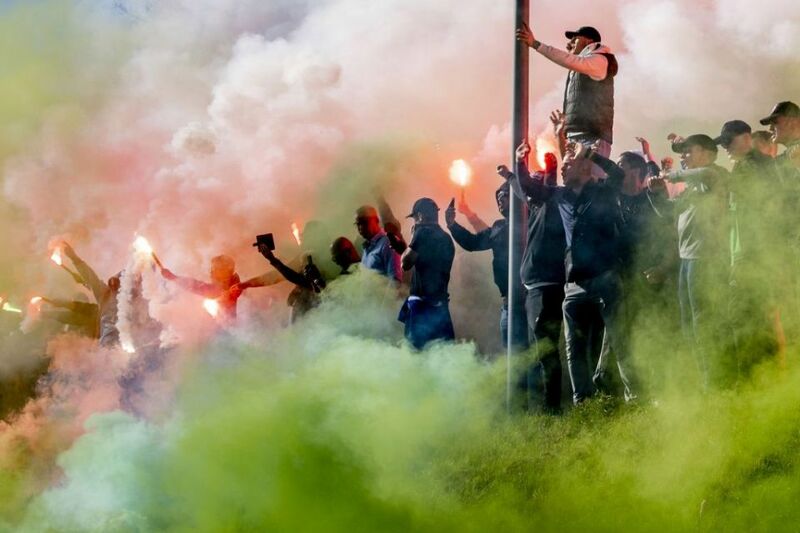 The artistry and more middle-class roots of Ajax Amsterdam versus the workers and thus more working-class roots of Feyenoord in Rotterdam has led to many conflicts between the two sets of supporters over the years. It got so bad that the mayors of Amsterdam and Rotterdam did a deal with the Royal Dutch Football Association (KNVB) to ban visiting fans from away games for five years from February 2009. However, there have been incidents since the ban ended including the Ajax clubhouse being burned down in March 2015. The cause of the fire is not known. Another fairly new rivalry which really hit its heights when Rafael Benitez managed Liverpool and Jose Mourinho was in charge of Chelsea. 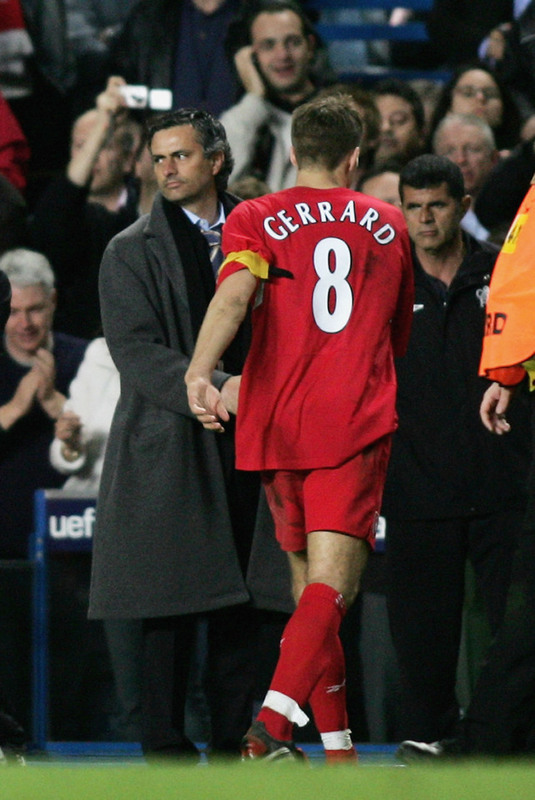 The two teams played out some memorable encounters in the Champions League – Benitez getting the better of Mourinho in 2005 and 2007 before Chelsea got their revenge in 2008 and 2009. There was also the transfer saga of Steven Gerrard, who looked all set to join the Blues just weeks after lifting the Champions League with the Reds in 2005 but it didn’t happen in the end. Liverpool fans loved him but Chelsea fans never forgave him and constantly remind Kopites of the occasion when his slip let Demba Ba in to score at Anfield which contributed towards Liverpool failing to win the Premier League in the 2013/14 season. This is arguably the biggest game in club world football so Real Madrid vs Barcelona was always going to make this list. 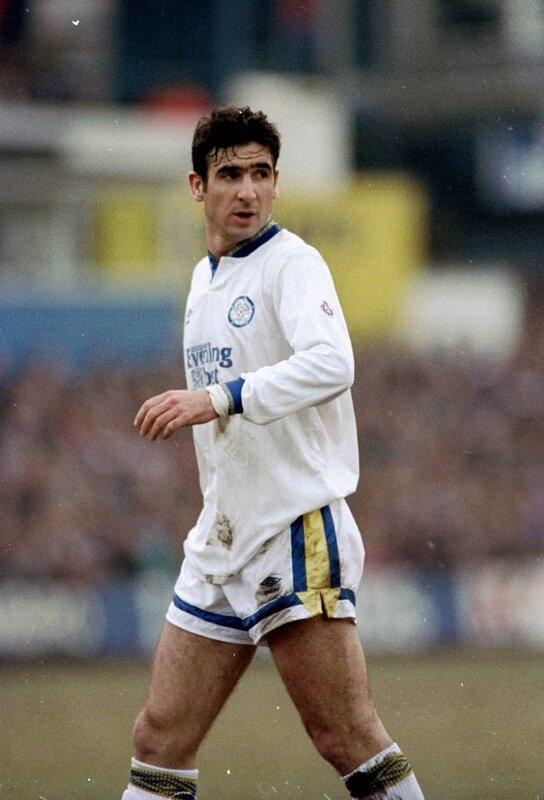 You could pick out examples of fierce clashes between the two from every season but it arguably reached boiling point when Luis Figo transferred from Barca to Real. And in a LaLiga clash at the Nou Camp in November 2002, a pig’s head was even thrown at Figo’s direction when he prepared to take a corner. However, despite all the rivalry, the Spanish players at Real Madrid and Barcelona were able to set aside their differences between 2008-12 very effectively as Spain romped to triumphs at Euro 2008 and 2012 as well as at the 2010 World Cup.